Looting Matters celebrates its third birthday today (see original post). 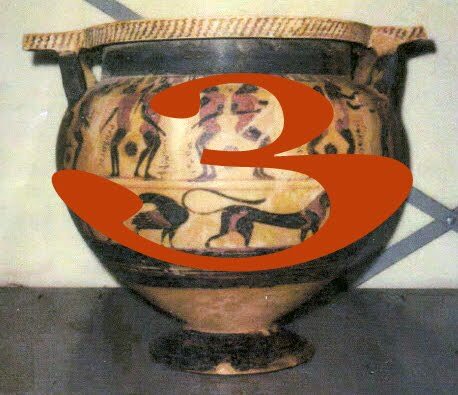 The last three years have coincided with the major returns of well over 100 antiquities to Italy from North American collections. There were well over 100,000 direct visitors during the last year, with several hundreds subscribing via email or grabbing the RSS feed. Does blogging matter? (A question I asked in May 2009). I remain convinced that Web 2.0 is a suitable medium for commenting on developing stories. But this needs to be placed alongside rigorously researched work placed in refereed journals. Summaries of some of the stories can now be found in my column, "Context Matters", in the Journal of Art Crime. What are the issues? I had hoped that auction-houses would have started to develop more rigorous checks but the events of 2010 have shown that material linked to Giacomo Medici and Robin Symes continues to be offered for sale. There are still large numbers of objects to be identified from the Medici Dossier, the Schinoussa Archive and the Becchina Stache. I look forward to continued work in this area by Cambridge University researcher Christos Tsirogiannis. What are the material implications of looting? How much damage has been sustained by the archaeological record? What is the scale of looting? And more importantly, what are the intellectual consequences? Can we ever understand the place of marble Cycladic figures? 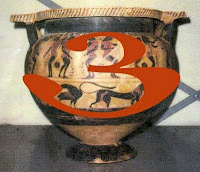 What about Apulian pottery in its funerary context? Or the distribution of Attic figure-decorated pottery in Italy? Finally, I am very grateful to readers who pass news stories to me on a regular basis or who comment on items in private. Congratulations. You are performing an indispensable function which keeps us up to date about looting matters. I consult your site at least once every day. I hope you will continue providing readers well researched pieces. Best wishes,Kwame. Thank you very much. And I will continue to follow your writing.